For more than three centuries, from about 79 AD, Chester was one of the most important military bases and trading posts in the Roman Empire. 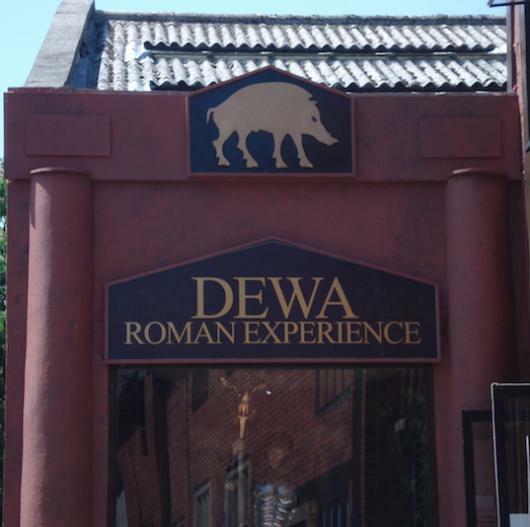 Dewa Roman Experience occupies a unique site at the heart of the original Roman fortress, home to the “brave and victorious” Twentieth Legion. It offers a reconstructed granary, barracks, bath-house, taverna and market stalls as well as a rare opportunity to view the Roman, Saxon and medieval remains buried beneath Chester.